With Jurassic World release right around the corner (only a little more than a month away!) I’m sure you’ve already begun to see the onslaught of JW gear arriving in local stores! Toys, food products, games, and even limited edition Barbasol Shaving Cream cans. On top of all of that you can expect there to be a plethora of books based on and inspired by Jurassic World. It’s only fitting since the franchise began as a book, right? While most of the books will probably tend to focus on the story of the film, there are some exceptions to that rule- one of which being the newly released Jurassic World: Dinosaur Field Guide. 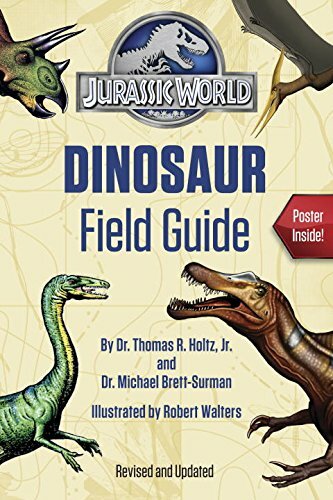 Now this book is actually a revised/updated (as the cover suggests) reprinting of the Jurassic Park: Institute Dinosaur Field Guide, which was originally published in 2001 coinciding with the release of Jurassic Park 3. 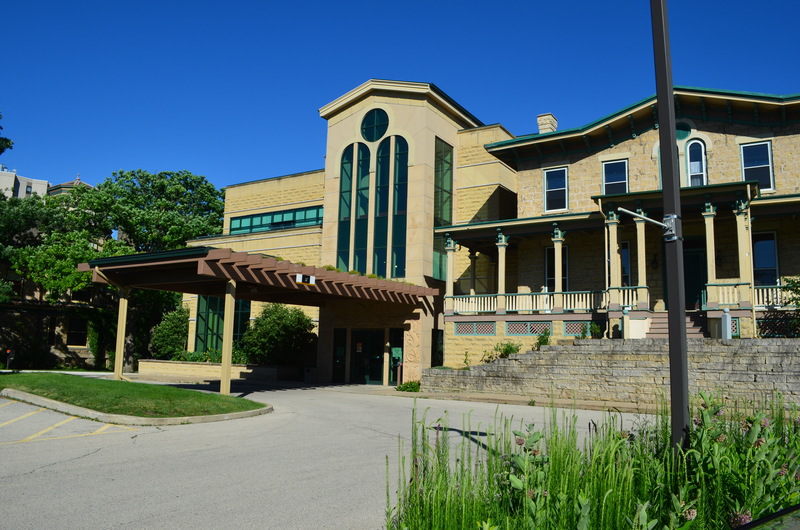 Jurassic Park: Institute was started as an endeavor to bring the latest scientific knowledge about dinosaurs via the Jurassic Park franchise. 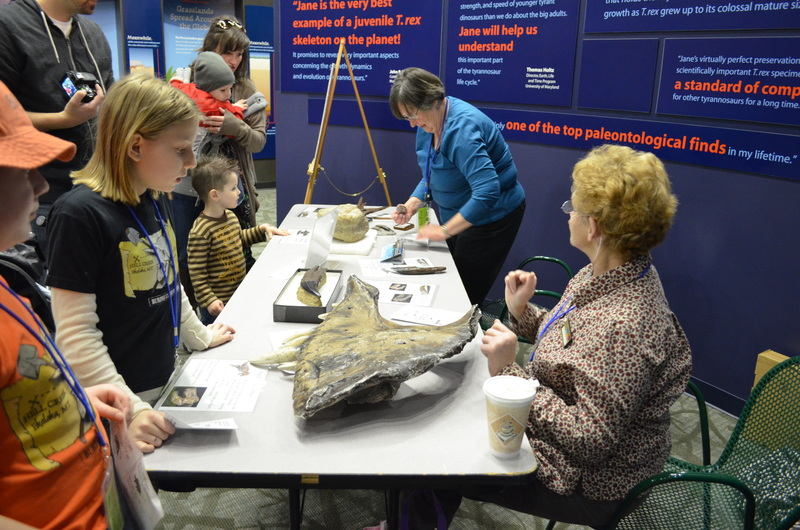 JPI included a incredibly interactive and informational website, an interactive tour in Japan, and several book publications- one of which being the original Dinosaur Field Guide. The original Dinosaur Field Guide is an exquisite book, perfect for dinosaur enthusiasts of any age as well as Jurassic Park fans. It’s full of [at that point in time] up to date facts thanks to Dr. Thomas Holtz and Dr. Michael Brett-Surman, and exquisite artwork by Robert Waters. It also included a large poster listing various dinosaur species, and had special notes that contained behind the scenes facts of the Jurassic Park films. 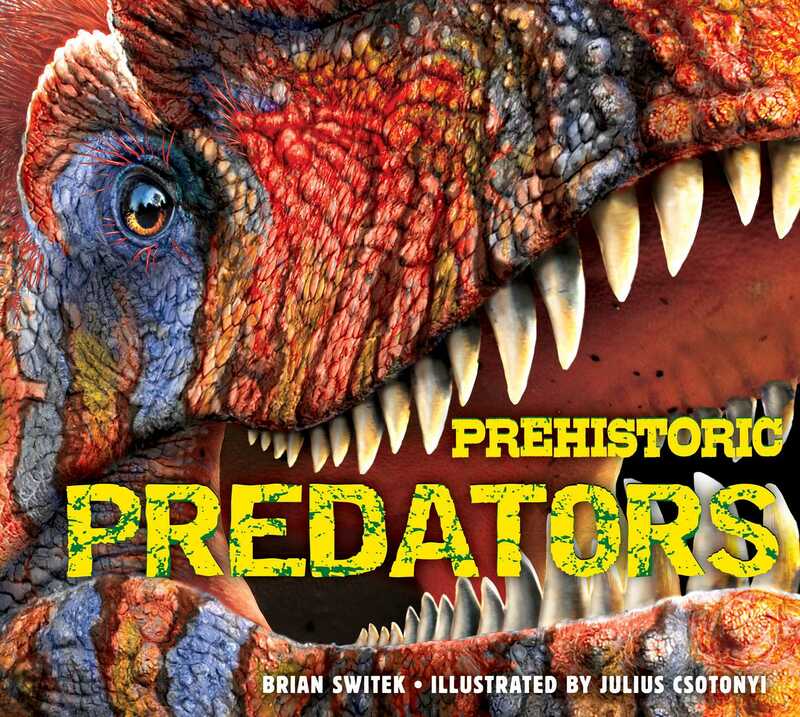 But a lot changes in fourteen years in the field of paleontology and the writers and artist teamed up again to revise their book and released it again under the Jurassic World title (since Jurassic Park: Institute is no more sadly.) So how does it compare to it’s predecessor, and what can you expect? Well, let’s take a look! The opening page is a note from the authors asking and attempting to answer the age old question: Why are dinosaurs so popular? It was a powerful opening in the 2001 original and it’s just as powerful now, going on to theorize that unlike other movie monsters, dinosaurs were once real and their sheer size and imaginable power will always fascinate us and our culture, One part has been revised from the 2001 text, now stating we have over 1,200 species of Dinosauria and that the number grows by about 40 each year. It’s staggering to read. And the closing remarks of the note from the authors on the commercial selling and poaching of dinosaur bones is incredibly poignant. I’m also glad that the ornithischian vs. saurischian information was still left in. Those facts are sometimes absent in many children’s texts (or it’s referenced and never really explained.) Holtz and Brett-Surman give a really good and in depth explanation as well as a diagram on the difference between the two.) I do wish that a image of the two’s pubis was included instead of just an explanation but that’s really just a nit-pick. The main body of the book is a guide to various species of Mesozoic animals (100 to be exact: 87 dinosaurs, 3 marine reptiles, 6 non-dino archosaurs, and 4 pterosaurs (each of the non dinosaurs also have a short preface about what exactly they are in relation to dinosaurs, and the Mesozoic.) ) The guide for the most part is exactly the same except for a few changes. The page includes the name of the species, the date it was named, the name meaning, and then lists diet, location, size, and trivia facts. The main body of the page for each species explains the history of the animal and past and present theories on the animals going on in the field of paleontology today. There has also been a massive overhaul on the artwork, with lots of new or revised images differing from the 2001 text. Many of the animals (mainly theropods) and feathered now- a very welcome update to the text. Some of the artworks differs in style from each other and I think this has to do with there actually being two artists on this book. Robert Walters is credited on the cover as doing the illustrations but apparently Bruce J. Mohn also lent a hand in doing some of the art work as well, which was then painted by Walters. Overall the artwork is great, but there is an obvious difference between the two styles present- which was not the case in the original text. It’s not a major issue but may set off some people’s OCD. The facts for each species continue to be great and up to date. A lot of it is the same information as the 2001 text, but there are appropriate revisions to the dating, locations, sizes, and species of dinosaurs based on current information. I do wish that some new information and debates were included though (such as Trike vs. Torosaurus and the new theory on Spinosaurus, and several others.) Current debates such as these are really changing and setting fire to the paleo-community and I feel like the are important to mention. Probably my one biggest issue with the entire book is the revisions to the “movie facts” on random pages of the text. In the original 2001 text there would be, on select pages (usually pages with animals actually featured in the JP films) there would be an image from the JP film along with (in a slap board) info on the dinosaur in relation to the film itself. It ranged from correcting the sci-fi depictions of the dinosaurs (such as dilophosaur in Jurassic Park having venomous spit) or discussing how Tyrannosaurus rex was depicted as a caring parent. In this edition all of the previous “movie facts” are taken out and replaced with new ones that are… vary random and not anywhere near as satisfying. First off many of them appear on pages where they shouldn’t be (like dimorphodon being in dilophosaurs page or an apatosaur fact being on the brachiosaur page when apatosaur has it’s own section in the book itself!) Now I assume that the reason why these edits are where they are is because these pages are where the “movie facts” were in the first edition so it was fairly easy to edit the text and just swap out the picture. But if you’re going to just edit the captions at least make it a little more interesting than ‘T.rex roars on to the big screen in Jurassic World!’ Nearly all the captions say something along those lines, offering up no real information or facts unlike in the 2001 text. It’s really the biggest disappointment out of the book. Even if the editors/Universal isn’t wanting “too much” shared on JW before it’s release I still think something more substantial than a constant “come see the movie” ad should’ve been allowed. Overall though this book is still fantastic. It actually compliments the original text well I think, especially with it’s updated information and several new dinosaurs. While there is noticeable difference in art styles, and the “movie facts” end up being nothing more than a film promotion, the book itself holds up as a wonderful basic guide into the world of the dinosaurs. It’s great for younger dinosaur enthusiasts. The text is easily understandable and everything is well explained. 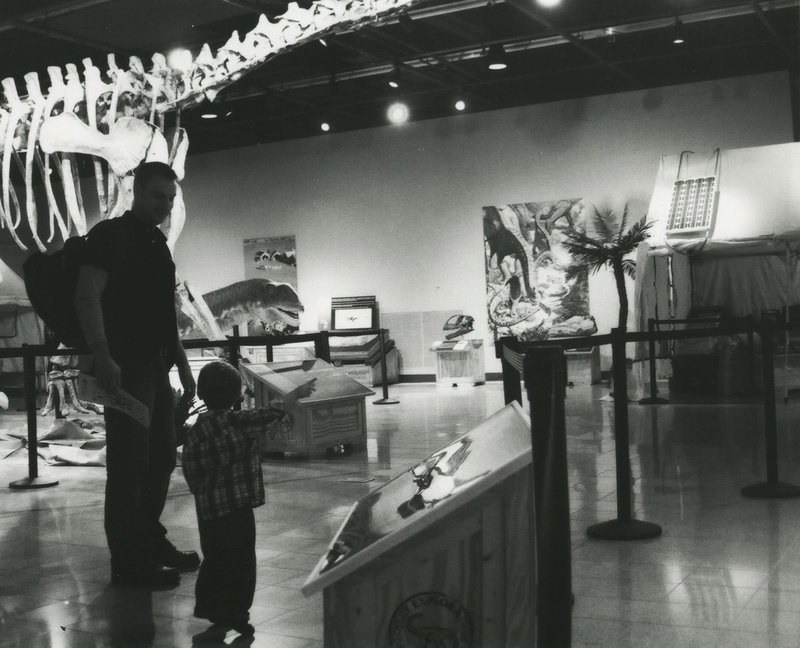 While you may not want to start a five year old out on this, it’s defiantly something that the pre-teenish dinosaur enthusiasts will really enjoy and find useful. But really the book is a great guide for all ages. I still take my original copy out during field work, and this edition will probably be no different. 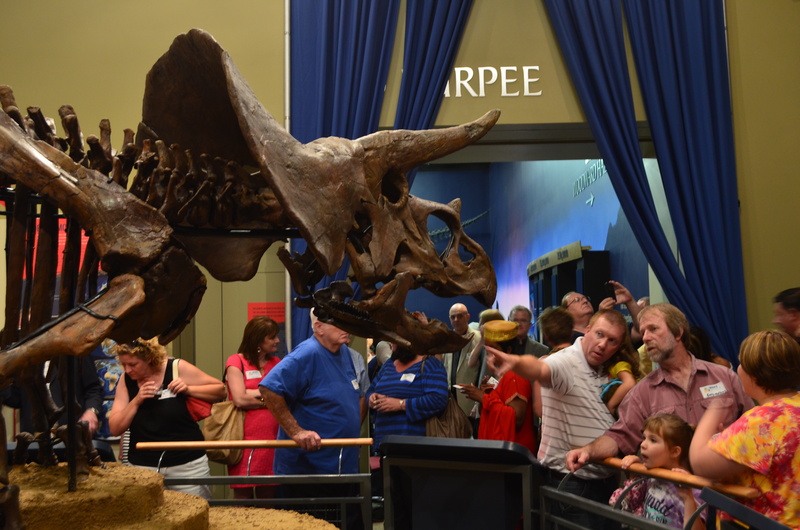 It’s great to use to brush up on facts about dinosaurs you may be excavating, or seeing in museums. Jurassic World: Dinosaur Field Guide has a price listing of $12.99, and is currently in book stores now.